On my way home from work yesterday I stopped at Dunsford Woods in the Teign Valley (managed by the Devon Wildlife Trust and owned by the National Trust) to see if I could locate the population of wood crickets that live there. 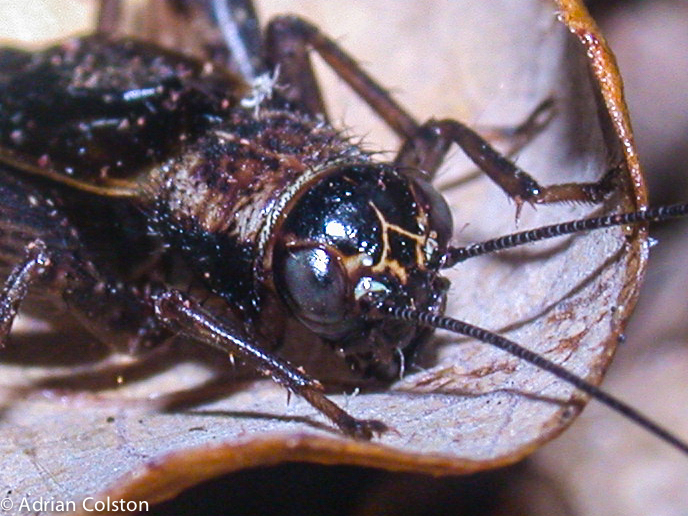 In a voluntary capacity I am the Devon County Recorder for Orthoperta – that is grasshoppers, crickets and bush crickets. 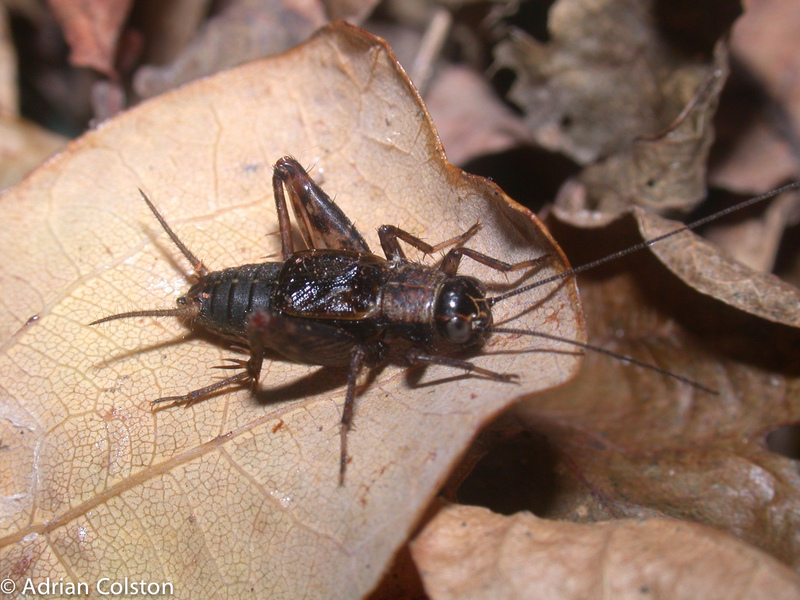 Wood crickets are native animals and are really rather rare in the UK – if you want to know more about them click here where you will also find a couple of sound files where you can hear their calls – a distinctive thing about most of our orthoptera. I am pleased to say that I heard around 20 calling males, saw a couple of adults and a nymph. I didn’t manage to take any photographs even though I took my camera and struggled up the very steep south facing woodland edge slopes where they live! 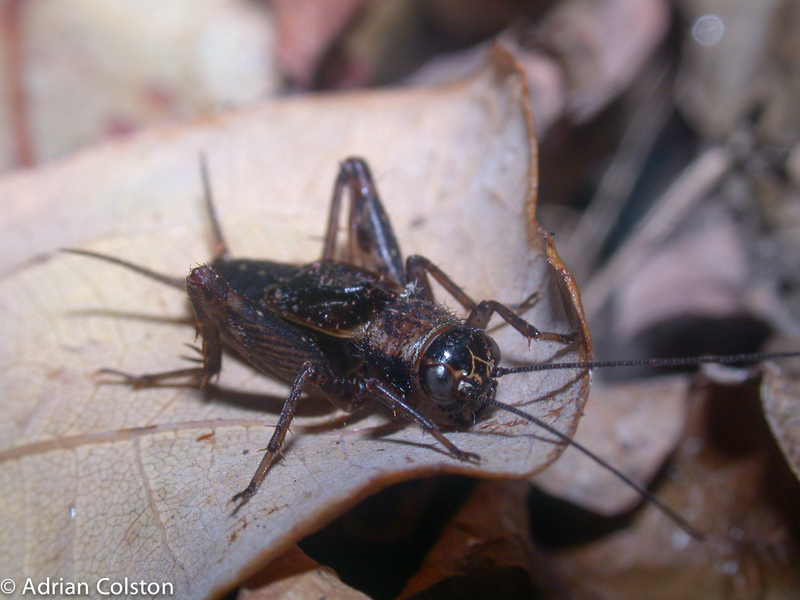 However I did get some pictures of the Dunsford wood crickets in September 2008 so I will share those instead. 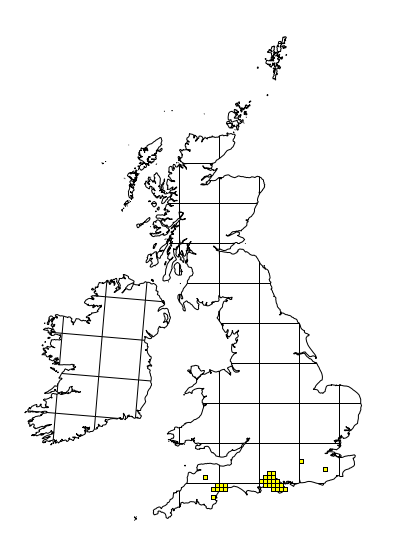 This is a male – their wings cover about half of the abdomen – their hind wings are absent and as a result they cannot fly. Females have even smaller wings and possess a long ovipositor which extends beyond the two cerci (pointed extensions which can be seen on the rear end of the male above). I am currently in the process of setting up a website on Devon’s orthoptera which will give information on all of our species including their distributions. Hopefully I will get that project up and running by the end of the year. 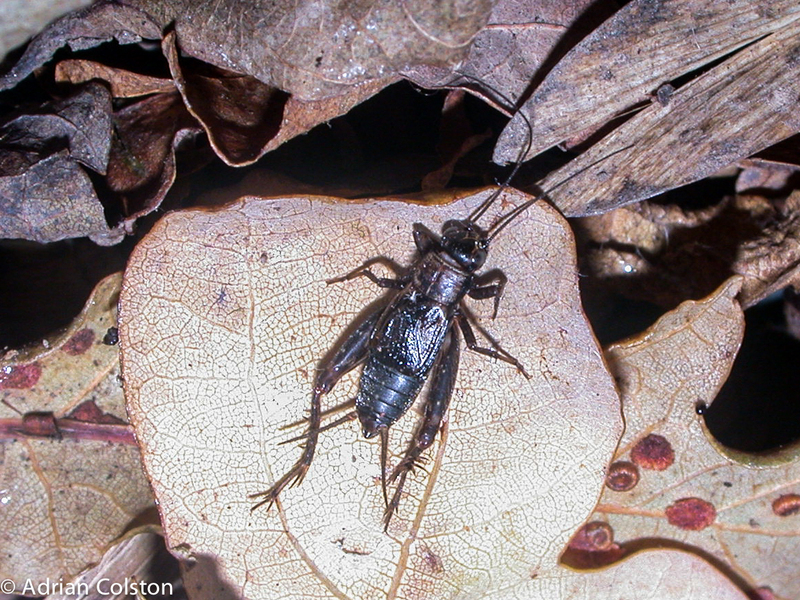 Earlier in the year I blogged about our other species of cricket – the scaly cricket which is much, much rarer and lives on the beach at Branscombe – see here for that story.